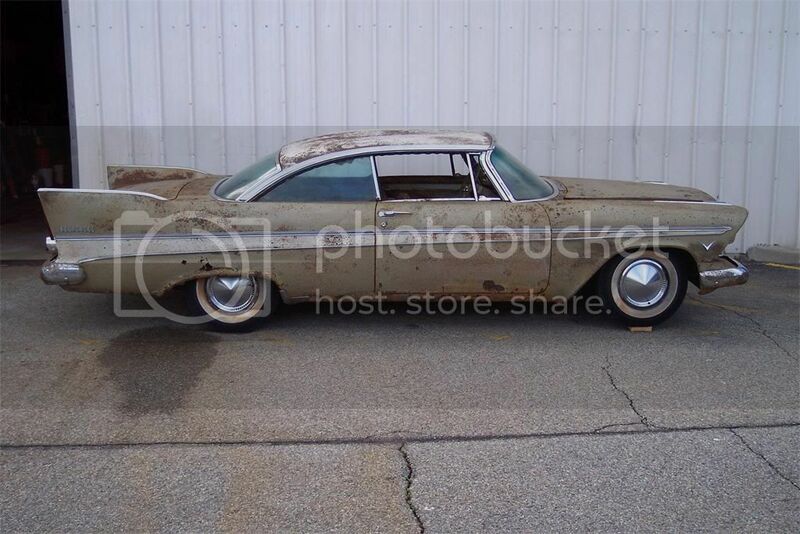 If you remember, back on June 15, 2007 in Tulsa, Oklahoma, a 1957 Plymouth Belvedere was unearthed from it's tomb after being buried for 50 years. The car was buried as a brand new car on June 15, 1957 and was planned to be excavated 50 years later as a celebration to the centennial of the state of Oklahoma. Some people even autographed the white walls of the tires. Yes, water leaked in, and the car sat for 50 years immersed in water. The winner was off by 286 people; however he died of cancer in 1979. The car went to his heirs. I heard they were working on restoring it. No news on that? I remember this. It almost made me lose my dinner. How sad. Its unbelievable how badly it rusted. I think it could have set above ground all of those years, uncovered and it would have faired much better... well, obviously since you see old original cars that have been setting out for years and look nothing like this. I imagine had the seal kept the water out, the car would have been excellent. Was there ever a # of people mentioned that were there when it was pulled up that were there when it went it? They have since buried another car... a PT Cruiser I think. Hopefully its waterproof. This vehicle is beyond destroyed... that said, everything on it is still INTACT save the fabric items. I have seen alot of rough cars restored, but this one appears to be too far gone. The interior dissolved.... and the rust is so bad, after you removed it, there would be nothing left of the car. LOL! Theres one spot on the bumper that is still like brand new! I actually like that car (before it was buried). It reminds me of the car in the movie Christine. The heirs of Miss Belvedere decided to ship the car off to Ultra One, a restoration firm in New Jersey whose specialty product is a de-rusting solution which is designed to remove only rust while leaving the underlying metal, paint and decals intact. That rust removal stuff is pretty potent! I don't believe it will be restored. The body is said to be very weak from the rust and fragile. I did read they are considering sending the heap of rust back to Tulsa and putting it into a museum.